If you’re looking for something a little less traditional than your old three-tiered wedding cake, or just another excuse for you and your guests to indulge on your big day, Feast It have put together a list of street food traders that'll make you realise just how sweet it is to be loved by you! For all those chocoholics out there, we give to you the gooiest, fudgiest brownies around town. 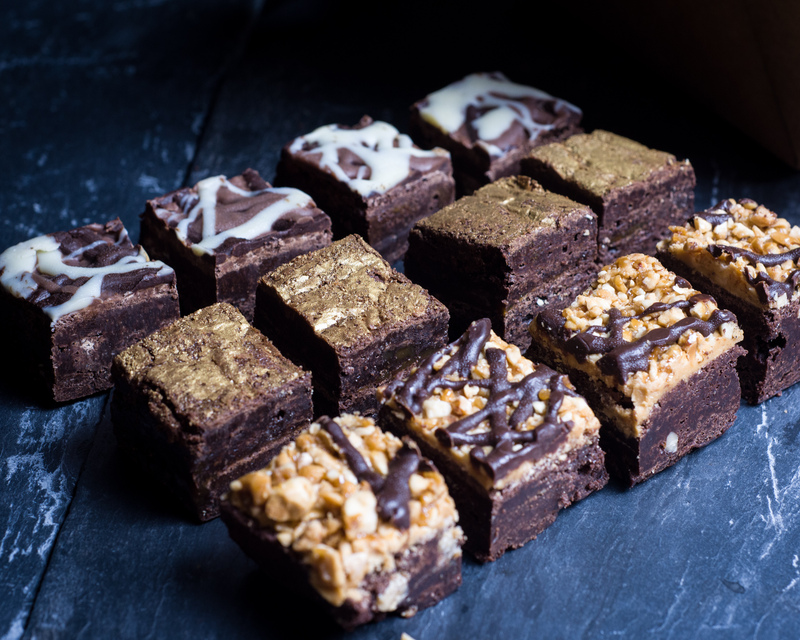 The amazing Bad Brownie have been selling their delicious creations since 2013 and these mouthwatering gourmet bites of heaven are so much more indulgent than a boring old wedding cake. They create delicious flavours such as salted caramel, peanut butter, triple chocolate, bacon & maple syrup and many more. Its no surprise that Bad Brownie have been mentioned in the likes of The Guardian and The London Street Foodie but don't just take our word for it, hire them for your wedding and you wont be disappointed! If chocolate isn't your guilty pleasure, don't panic, Feast It can cater to all taste buds! Even getting hitched in the middle of a field wont stop Los Churros Amigos from bringing a taste of Southern Spain to your special day. For those of you unfortunate enough not to know what churros are, let us explain. Churros look like sugary deep fried doughnuty octopus legs and are traditionally served in melted Belgian chocolate. These fun and quirky treats are a great way to share the love at your wedding but if you're hell bent on cutting a wedding cake to capture the perfect shot we wont judge you, we're all old romantics at heart! You’ll just have to warn your guests to save some room for two desserts! Spring is fast approaching and with it the promise of warmer sunnier days. 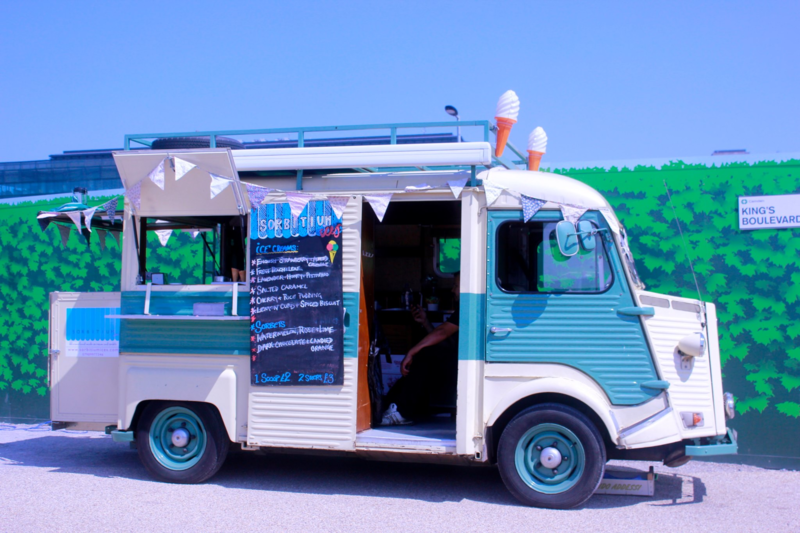 The perfect excuse to book Sorbitum Ices, to come along to your upcoming event and scoop out some of the most likeable ice creams around. Their menu changes according to season so don't worry, even if you’re getting married in winter why not treat your guests to their Passion Fruit Vanilla Ripple Pavlova! These ice creams aren't just for kids, the Cherry Negroni Granita will no doubt be a favourite amongst guests. It’s no surprise that Time Out ranked them in a list of London’s ’10 most lickable ice creams'! To find out more about hiring a street food truck for your wedding, head over here!